Who said you needed to break the bank to pamper your hair? Nowadays drugstore beauty brands have stepped up their game and are vying for a piece of your paycheck. And we couldn’t be more thrilled with the cool new haircare products on the market. From shorter blow drying times to scalp treatments, there are a slew of new hair care just in time for the new year. 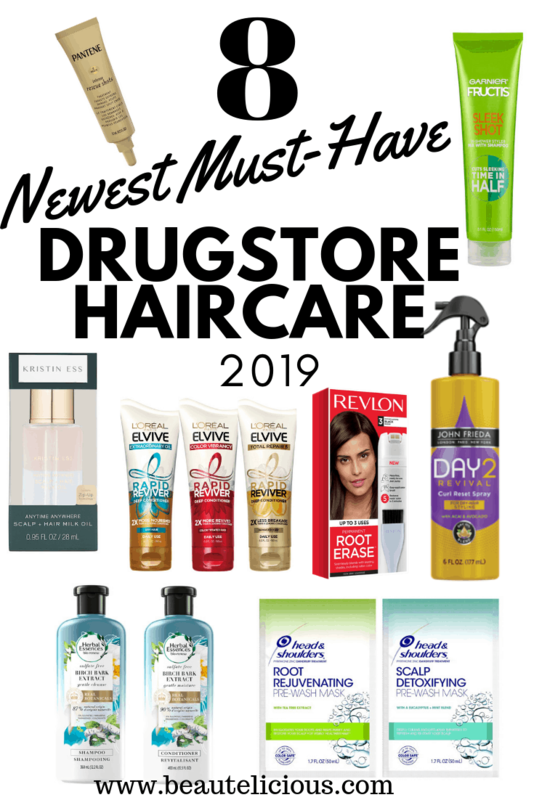 Next time you head to the drugstore pull up our handy list for New Drugstore Hair Products to help you navigate the hair care aisle so your hair will be ready for the new hair pin trend!. Garnier just introduced one of their latest blowout remedies. If you style your own hair daily/weekly and complain about the length of time you spend blowdrying your hair then you need to pick up the Garnier Sleek Shot In Shower Styler, $7. 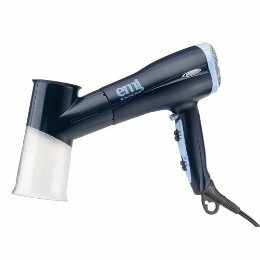 It’s an in-shower styler that mixed with your shampoo should cut a few minutes from your blow dry time. They claim to cut your blow dry time by half. I don’t know about that, for me the styler cut off 10 minutes from my drying time. I played around with the Garnier Sleek Shot and I am pleasantly surprised with the smoothness of my hair. I used it a couple of times these past few weeks and I fell in love. The first few times I used the styler my blowdry time shortened a by about 10 minutes, and my hair felt smoother. I still opted to use my flat iron because I wanted my hair extra smooth, but that’s not necessary for everyone. My hair also managed to stay smoother longer than if I didn’t use the styler. All you have to do is mix your shampoo with the styler. Rinse out and condition as usual. People are looking to extend the days between their hair washes and John Frieda is looking to fill a void for a second (or third day hair). The haircare brand wants to give you that second day hair freshness that we sometimes need to extend out styles. And John Frieda has been by my side since I was a teen just figuring how to deal with my curly hair. 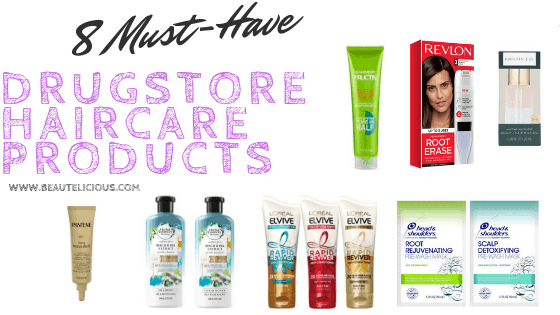 Tip: A few other drugstore brands are jumping on this trend so look around. There is nothing better than a cool scalp, it’s the root to healthy hair. Head & Shoulders introduced a cool new mask for your scalp. 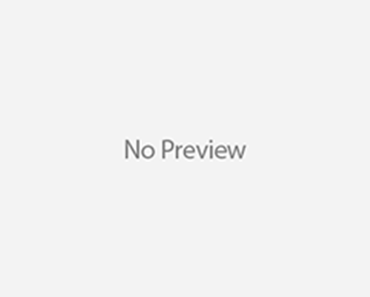 Head & Shoulders may known for its dandruff maintenance products, mainly shampoos, but it now also includes the Root Rejuvenating and Scalp Detoxifying pre-wash masks, $2. Even if you don’t have dandruff we think this mask will be useful for everyone who uses hair products since we all have some buildup. “With the refreshing scent of eucalyptus and mint, this deep-cleaning pre-wash mask gently lifts away impurities to restart and refresh your scalp while invigorating your senses. The lightweight, detoxifying formula helps remove scalp buildup and protects against flakes and itch.” This pre-wash mask is especially great for all those dry shampoo lovers, but it also aids those with dandruff or flakes. I purchased the Loreal Elvive Rapid Reviver Deep Conditioner and I love it. It made my parched hair softer in just 60 seconds. And since I don’t always have time to deep condition my hair or I just forget. But I definitely have 1 minute in the shower. I usually wash my hair 2-3 times a week. I will probably replace this with my daily conditioner at least once a week. And on a side note, I was totally attracted to the packaging of the bottle. The colors drew me in. Pantene is also getting in on the deep treatments for hair. It is winter after all—the season for crazy dry hair—from fly aways and parched ends to the dreaded hat hair. And sometimes hair needs a little extra hydration. 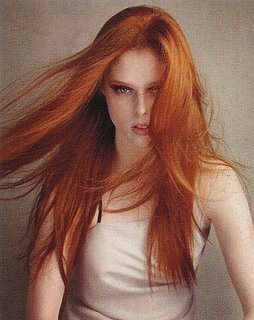 The Pantene Pro-V Intense Rescue Shot, $5 have been making the rounds in Brazil for years. And now they have landed in the US. The single-use tubes are concentrated formula helps repair and restore damaged hair. Even after damage caused by styling, heat damage, and chemical treatment. The treatment helps prevent damage and restore hair including minimizing split ends. Sounds great to me! And you can use the oil in a ton of different ways. Like as a pre-poo ( a pre-shampoo/scalp treatment), styling oil hair/scalp oil, and an after drying oil. So its great for all hair issues. The oil is silicone, paraben, phthalate & sulfate free. Color safe, keratin safe and cruelty free. Herbal Essences is leading the pack with the new Birch Bark Extract Sulfate-Free Gentle Cleanse Shampoo & Conditioner, $6 each. The shampoo and conditioner duo are EWG Verified. That means they have met the Environmental Working Group’s standards on ingredient selection, transparency and manufacturing. The shampoo is made with 87% natural-origin ingredients. The shampoo and conditioner are sulfate-free, paraben-free, mineral oil-free and dye-free. Herbal Essences is the first mass hair care brand in mass retailers to meet the strict clean beauty standards set by EWG. Getting your hair done at a salon is a luxury, but sometimes we just don’t have the time. Revlon released a new hair color product, Revlon Root Erase Permanent Root Touch-Up, $12. In just 5 minutes you can cover up your root growth. And not only is it really simple— no prep required and no mess to clean up – just pump, mix & apply. But it contains a few root touch-ups per canister— it’s reusable. Plus 100% gray coverage and is Available in 13 shades. Have you tried any of these hair products? Which one? Hot Or Not: Jesse J’s Purple Hair? Demi Lovato: Debuts Brown Hair Again On ‘X Factor’ Live Show Premiere!